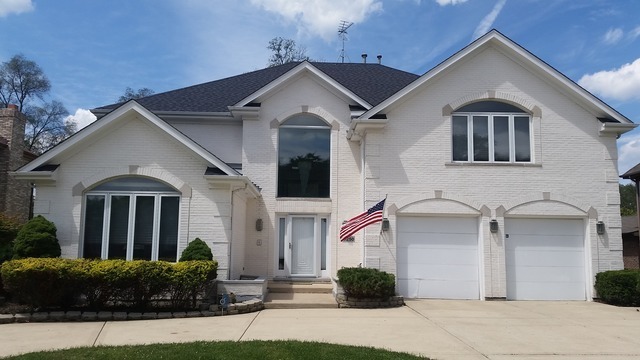 HINSDALE CENTRAL HS, ALL BRICK CUSTOM HOME ON A QUIET CUL-DE-SAC. LOW TAXES, 2-STORY FOYER & LIVING W 2 SIDED GAS FIREPLACE, 1ST FLR BED/OFFICE W HIDDEN DOOR. HUGE MASTER SUITE W/LUX SPA BATH & GLASS BLOCK DOUBLE SHOWER & WALK IN CLST. JACK AND JILL BEDROOMS FOR KIDS, CUSTOM GAZEBO WITH 8 PERSON HOT TUB IN BACK W PRIVACY TREES, 9&apos; BSMT CEILINGS, HUGE BSMT FOR STORAGE & PLUMBING INSTALLED READY FOR YOUR FINISHING, NEW ROOF 2012 W WARRANTY, FENCED IN DOG RUN. 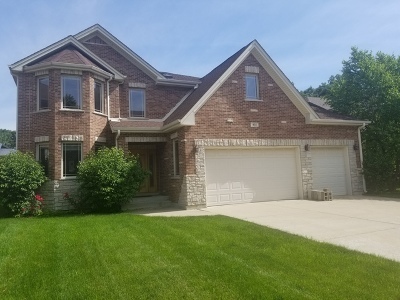 HARDWOOD AND TILE 1ST FLOOR, PLUSH CARPET IN BEDROOMS, CENTRAL VAC, PULL OUT CABINETS, NEW DOUBLE OVEN, WINE CHILLER, BUTLER PANTRY, CIRCULATING HOT WATER, 95% HIGH EFF FURNACE, FRESH PAINT, 5 MINUTES TO TO OAK BROOK MALL & EXPRESS WAYS. KITCHEN NEEDS UPDATING SEE VIRTUAL PHOTO OF KITCHEN, PRICE DISCOUNTED FOR UPGRADES TO KITCHEN. MOVE IN READY.